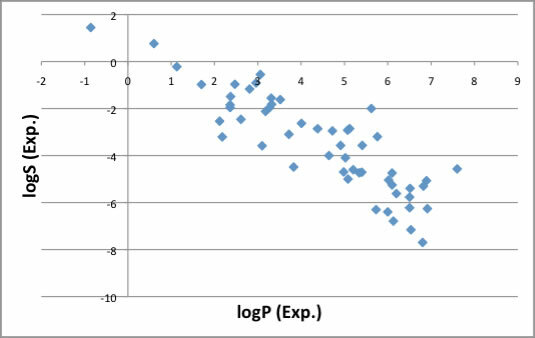 LogP and logS have relationship as showing above. 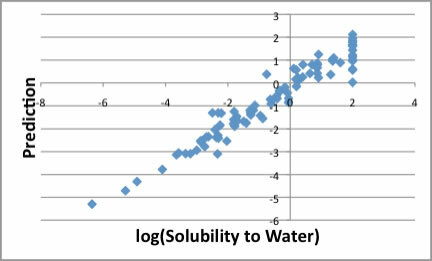 Large logP means small solubility to water. But accuracy is not enough. 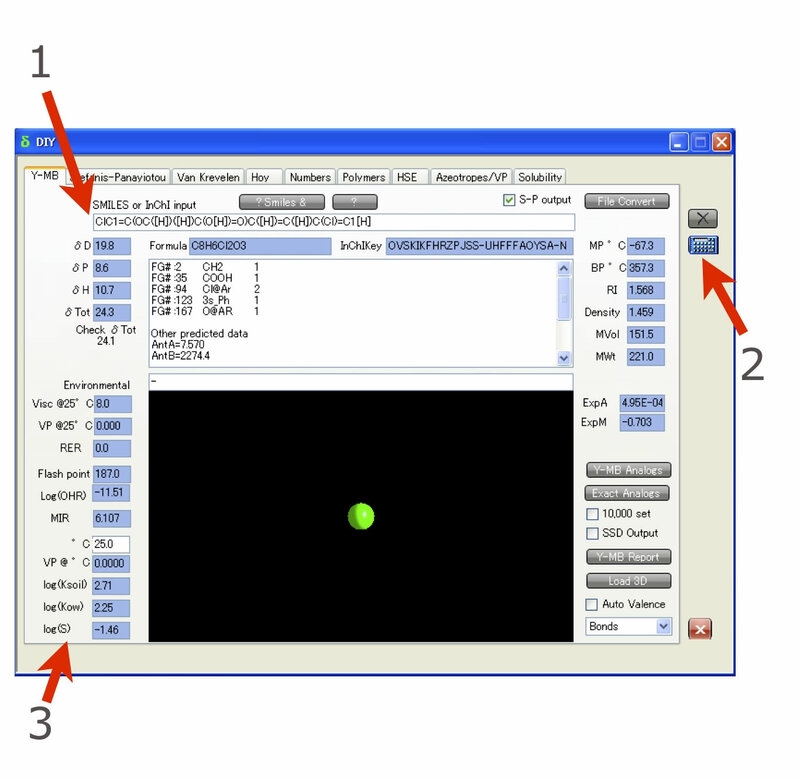 I checked Y-MB 3.1 performance. I can not say, the accuracy is good enough. 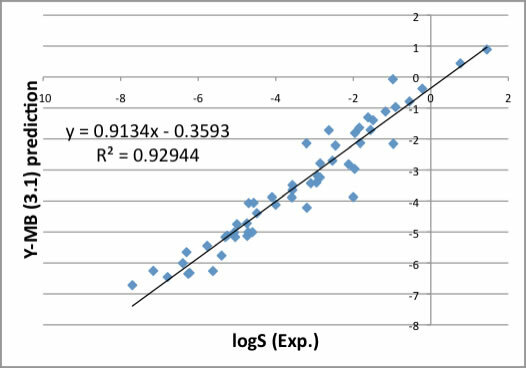 But from only structural data, we can predict logS. I believe this result is better than nothing. 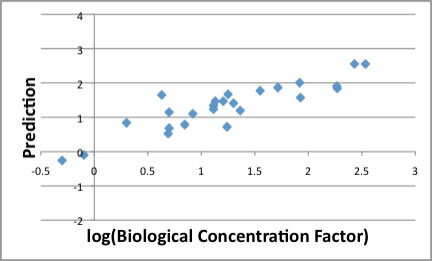 log(Biological concentration Factor) is also calculated by Y-MB. 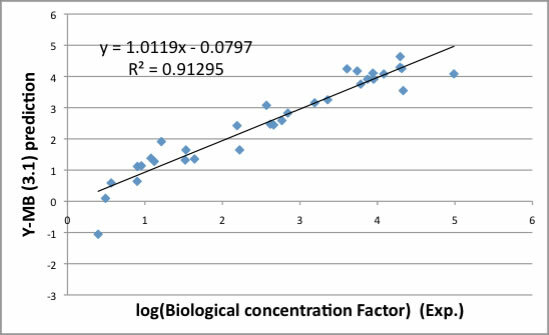 This index is also important from the environmental point of view. For this purpose, I need compile more data to build more good model. 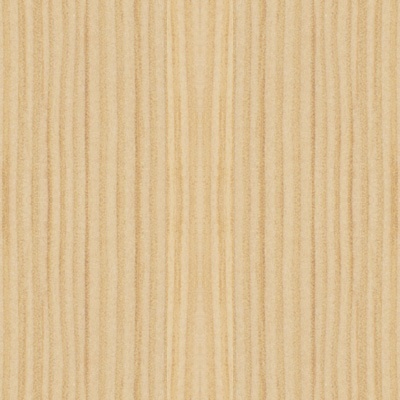 If you know the good resource about logBCF, please let me know.